Sometimes, I look in the mirror and see a mom who once took a little pride in how they look. 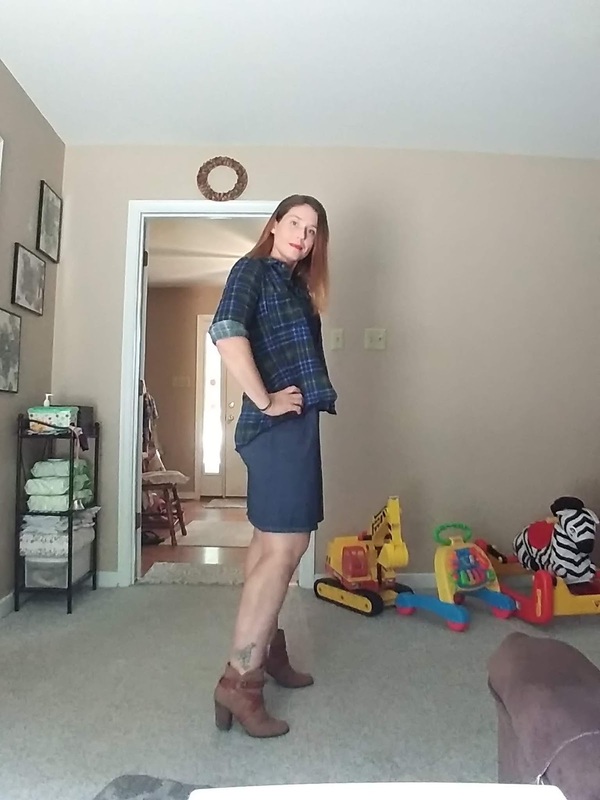 Outfit used to be on point, make-up painstakingly applied, bag and shoes matching, all of it assembled with the ease that the time a person has sans kids. Now, most days, its messy buns/rats-nest shoved into a rubber band, socks and shoes of the slip on variety (which may not be matching because who really has time to search for matching pairs), yoga pants, and one of my husbands old shirts that, with luck, doesn't have a hole in an odd spot. Let's face it, as a mom, most days are the roll out of bed and go type of days. Once and a while I decide that enough is enough! I don't want to forgo my old glory! I have two daughters that need to see that putting effort into one's appearance isn't a myth only perpetrated by models in magazines. No, putting a little effort can change not only your outlook on a day because you'll feel more put together, but also how others interact with you because they will see that your more put together. Than, I start and at some point feel like its taking too long to accomplish, so I come up with a #momfashion. This is what I call when you do about half of what you used to do prior to having kids and all that. Take today's outfit. I call it a #momwin! 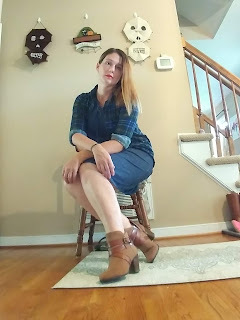 I was going to wear a cute tank dress with some sort of a short sleeved shirt over the top with a knot tied in it for a layered look, but settled for the tank-dress(comfy, functional, mom friendly, and cute) paired with a flannel in similar color because the weather was threatening rain. If I'm honest the flannel was more of last minute grab that worked in my favor after I looked at the weather channel. (Note: weather channel was wrong haven't had rain all day). I let my hair air dry, naturally it went all sorts of nuts and since I was holding too my no rats-nest today mood, I grabbed a flat iron and only did the top part. Cut down the time and is hiding my hairs insanity. 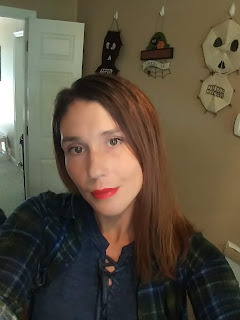 I slapped on some all over cover-up added some mascara, ran out of time for a full eye look to be completed, and tossed on some red lipstick so it looked like I really did something drastic with my make-up. Okay fine, also the red lips takes your eye away from the mascara mess up I had when my 2 year old wanted to "help" me put on my make-up today. Lastly, I just picked a different less messy and matching set of shoes to complete the look. Full disclosure, socks still don't match I didn't have time for that but the anklets are high enough to cover those sins that I bet you couldn't tell, #Momwin! So, this is what I call a #momfashion moment. Those moments when you mail in some things, but cover them with a little more effort than you normally put forth. Naturally, I had to do my best fashion magazine cover pose to show it off. I did have to face the reality that I'm getting closer to 40 and my knees just ain't what they used to be so hovering in a squat just wasn't going to happen, so I added a #momfix, the chair! 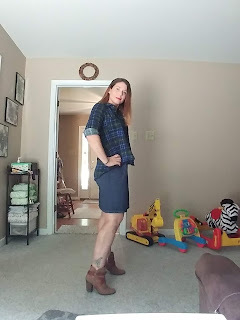 What is your best #Momfashion cheats or outfits? I'm always looking for new ideas to help me not be a rats-nest mom, plus my yoga pants are getting worn out and not from yoga. Great outfit! You look wonderful!